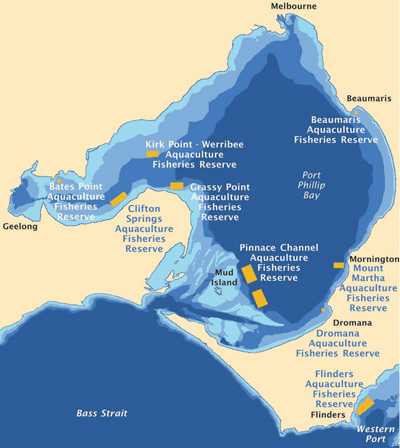 Marine aquaculture is undertaken in Port Phillip Bay and Western Port within individual farming sites (Crown leases), ranging from 3 ha to 27 ha located within nine Aquaculture Fisheries Reserves (AFRs). 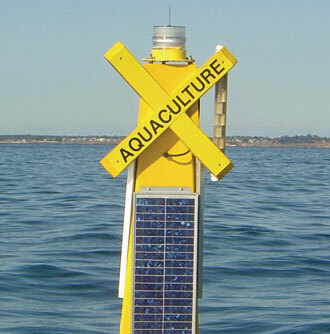 AFRs are clearly identified with yellow special marks (piles or buoys) with 'AQUACULTURE' inscribed in black lettering on the X top mark and yellow synchronised lights placed at the external boundaries (pictured top right). 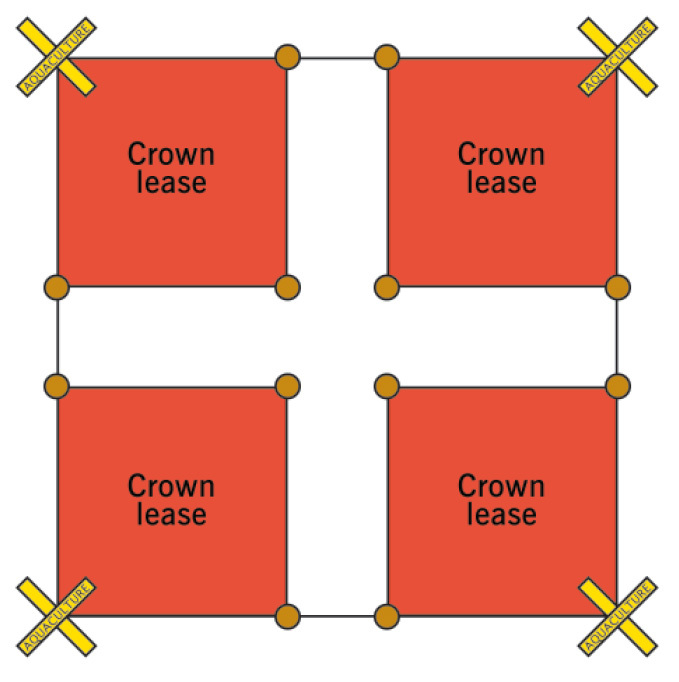 Crown leases within AFRs are not accessible to the general public and leaseholders install orange floats to mark the boundaries (pictured bottom right). It is an offence to tie up or otherwise interfere with any commercial aquaculture equipment that is within a crown lease within an AFR. To identify where you may encounter aquaculture fisheries reserves in Port Phillip Bay and Western Port, please refer to the map below.